Conquer any running competition with Saucony women’s cross country running shoes. Saucony cross country shoes and spikes for women are durable and built for unpredictable terrain, but also lightweight and comfortable enough for long, exhilarating runs. 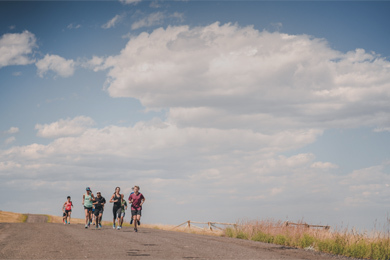 Whether you face a challenging course, or tough or slippery terrain, our women’s cross country shoes are flexible and mold to your feet in order to provide a natural connection with the ground. Our women’s cross country spikes give you the ability to handle the elements of every season. Choose the right pair of cross country shoes for you from a variety of design options, including durable soles for long distances and lightweight styles for courses where grip and speed are crucial. Dedication to running is about getting out there, rain or shine, so don’t settle for any cross country shoe.